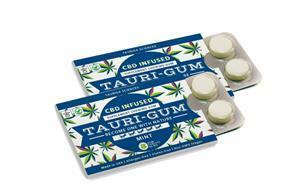 NEW YORK, NY, March 18, 2019 (GLOBE NEWSWIRE) — via NEWMEDIAWIRE – Tauriga Sciences, Inc. (OTCQB: TAUG) (“Tauriga” or the “Company”), engaged in building its business through the development, distribution, and licensing of proprietary products as well as the evaluation of potential acquisition opportunities and equity investments, today announced that it received an initial $54,000 Tauri-Gum™ purchase order from a major New York City based distribution company (the “Distributor”). This purchase order is for a total of 6,000 individual Tauri-Gum™ blister packs or 600 retail boxes. Within the next few days, the Distributor will send a truck to Tauriga’s fulfillment facility and take possession of the above-mentioned product. The Distributor has a major presence throughout the New York City Metropolitan area (“NYC Metro area”) and generates annual revenue well in excess of $100,000,000.